When we think of the words franking machine or franking machines, the first place that may come to your mind is a mailing room or an office building. No matter how many members of staff work for a company, the mailroom is the natural habitat and home of a franking machine. However with more and more people sending large volumes of mail directly from their home, this is no longer the case. With eBay and Amazon constantly growing it’s not unusual for work from home sellers to send mass volumes of post every day or week. In these cases, a franking machine is the ideal solution. Let’s say you’re an eBay seller sending 100 small, 2nd class items a week. That’s a total of £58 per week in stamp costs – roughly £250 per month and £2900 per year. At first glance you can see that savings can be easily made. Using a franking machine in this example will save you an amount of roughly £19 per week, £82 per month and £950 per year. This is a significant saving for any small business. No longer think of the traditional view of a franking machine as being part of the furniture in the mailing room. If you run a mail order of some sort, directly from your home, you can benefit from using a franking machine. 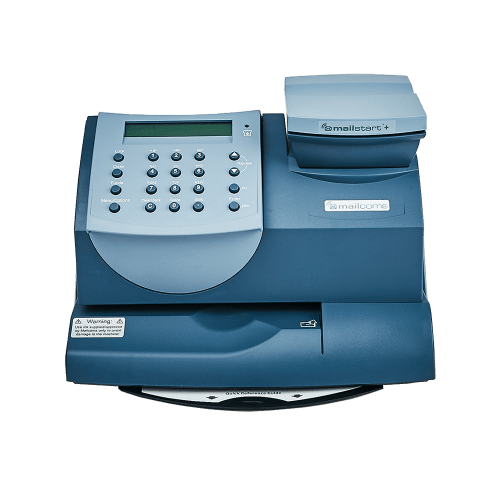 What more is that a franking machine is probably far more affordable than you can even imagine with rentals starting at a low price.